the Heart , 1984. Agent: Creative Artists Agency, 9830 Wilshire Boulevard, Beverly Hills, CA 90212, U.S.A.
Interview in Films Illustrated (London), August 1979. "Teleperforming vs. Screen Acting," in The Movie Star , edited by Elisabeth Weis, New York, 1981. "Table Talk," interview with Nancy Griffin, in Premiere (New York), Winter 1993. Bonderoff, Jason, Sally Field , New York, 1987. Goldstein, Toby, Sally Field , New York, 1988. Klemesrud, Judy, in New York Times , 27 December 1977. Ciné Revue (Paris), 31 July 1980. Revue du Cinéma (Paris), January 1983. Hibbin, S., "Sally Field," in Films and Filming (London), June 1985. Shindler, Merrill, "Hollywood's Greatest Survivor," in Los Angeles Magazine , November 1989. Webster, Ann, "Sally Field," in Premiere (New York), August 1994. Hennessey, K., and Bailey, E., "Look Before You Leap!" in Movieline , October 1996. Gritty, plucky, feisty—and other adjectives that have fallen out of favor—spring to mind when contemplating the essence of Sally Field's appeal. Her limitations (including a regrettably thin voice, a failing that puts her in good company with Elizabeth Taylor and Natalie Wood) are as immediately apparent as her virtues (a translucent honesty which rescues her from the precipice of seeming too actressy). A specialist in regional scrappers, Field has not shown a yen for foreign accents or idiosyncratic filmmakers, but, within her self-prescribed range as the steamrolling American flattening injustices like so much roadkill, she is in a league of her own. What is most remarkable about her stimulating performances is that she willed herself into the position to create them, despite the campy backlash in the wake of The Flying Nun and Gidget . How many other troupers could have not only survived being a cutie-pie in such fluff as The Girl with Something Extra but also have gone on to silence her detractors with two Oscars on her mantlepiece. Even during her humble starlet origins, there must have been dozens of characters this pop-culture princess yearned to give birth to; in a sense, she unleashed them all with her breakthrough role in Sybil . Playing a multiple personality, she gave a knockout performance that has stood the test of time; it was so stunning in its clarity and so terrifying in its chameleon shifts of mood, that even her critics had to clam up. A hard act to follow, Sybil did not open any eyes at the film studios, so Field slipped into movies by the rear door of Burt Reynolds's speeding car ( Smokey and the Bandit ). Proving she could breezily peel rubber through America's back roads, Field again amazed the industry with a heartfelt performance as a Southern factory worker whose low self-esteem gets a shot in the arm from her awakened social conscience. 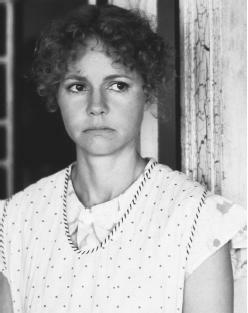 Turned down by many big stars, the Norma Rae role provided a perfect outlet for Field's native intelligence and fired-up passion. It was a much more creditable and credible glimpse into the blue-collar soul than Meryl Streep's similar but phonily twangy Silkwood . Aside from these high points, Field was believably contentious as a parasitic journalist making amends in Absence of Malice and was engaging as an eager-to-please housewife balancing career and home in that stand-up comedy cavalcade, Punchline . Often cast in mother roles, she tended to repeat standard renditions of resoluteness in the terminal-illness crowd-pleaser Steel Magnolias and that heartland ode Places in the Heart , a beloved movie that reduces all its interesting conflicts into tests of cornpone indomitability. Is it any wonder Field was pegged to play a further reduction of a Hallmark Hall of Fame-type mommy in the megagrosser Forrest Gump which not only revisits Field's little-people roots but also applauds the dumb luck of the mentally challenged? Nor was she wise to cast herself as an avenging vigilante-mom battling male prerogatives in Not without My Daughter and Eye for an Eye . Gussied up as feminist tracts, these thrillers were Charlotte Bronson odysseys which almost parodied Field's spirit of rage. Rather than contribute further to the stupidization of American films, Field could put her grassroots valor to better use in vehicles such as her mini-series, A Woman of Independent Means . In one of her classiest roles, Field illuminates a feminist soap opera by making her wife-mother's journey to self-realization painfully moving. Like Norma Rae, and Sybil, this typical Field character digs deep to find a courage that is new to her. A master at revealing how everyday people shock themselves with such discoveries, Field is really the role-model next door. Feuillère, Edwige Fields, W. C.